Introduce yourself to the Pony.fm community! Hello! I don't know how to musics, but that is ok because I am here to give perspective as a user on the audience side of things. I look forward to listening to what you guys make and watching this website develop. I have already given suggestions to Feld0 before on possible features. I aim to provide the best of experiences for users. Anything I can do to help. I host my own podcast which features the newest and the best of both non-brony music and brony music. Mainly focusing on harder styles of dance music, such as hardstyle and hardtrance. Though, I don't make my own music... yet. So I'm only here as a listener just like Bohtty and Tich. Hello, I am Berry Pie, the one and only fruitastic brony. I'm not here because I can make music. I'm here to poke around and make sure the thing works for the music listeners. Good luck my fellow testers. I've just recently joined the site and wanted to help out. I write songs and perform vocals fór songs. I also had to apply because I normally want to help everyone making their product as best as it can be. This is also why I take so long in actually making my songs; I want to make sure every single bit and bolt is right in the song. I took a little under a year to complete my first song, which was a project I had to do for a family member, which requested it. Sadly, it was also a part of his funeral music. I still miss him, but I was very touched that he actually put my music on his 'funeral-list'. I normally perform vocals for the calm music, the one with deep lyrics and somewhat quiet instrumentals. Not very long ago, I discovered that I was pretty good at performing loud, jolly vocals, but that just isn't me, so I tend to stay on the pop path. I am really looking forward on helping each of you out, so if you have any questions at all, please do ask them! I'm sort of new to this forum but have been trying to play catchup and be active since joining. I'm the Freewave and I'm an ex-dj, older brony, music collector, and have been making brony music since oct 2011. I mostly stick to dance music remixes although i do original tracks, mash-ups, medleys, covers, and the occasional mixtape. I spent a lot of time of time on my little remix forum (the brony musician forum), run a few brony blogs (including the brony musician directory at bronymusic.com), and have been involved with a few brony music event albums (including Second Chances and Sori 52 (a sogreatandpowerful tribute)). I'm in the progress of taking my older tracks and some newer ones and compiling them over 3 different free albums. One in already done and out now and just needs to get imported to pony.fm soon. I also try to do pmv's for most of my tracks as that is part of the fun and helps incorporate the show, the music, and some of the fanbases's art (in my mind). So I try to stay rather involved within the community although i generally avoid mega-skype chats like the plague. Yeah so that's me, i just keep plugging away and trying to get enough stuff done each week. Hey guys, I'm SCS. 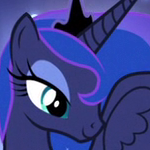 I joined MLP Forums about a month ago, and was granted entrance to the pony.fm QA team earlier today. I don't produce music (I honestly don't know where to start, but it would be fun to try it out someday), but I am a fan of MLP fan music. One of the many reasons why I love MLP is how much beautiful art it has inspired, in the form of fan fictions, visual art, music, etc. One of my favorite MLP fan artists is PonyVisation, with albums such as Sounds of Equestria. I also love nrgforce's piano covers of some season one songs. I'm looking forward to participate in this collective effort to make pony.fm as awesome as possible for both music listeners and music makers alike. I will be able to provide feedback from the perspective of one who listens to music. I also have a hobby of sorts about learning about different aspects of sound and video files such as bitrate, sample rate, etc, and how that applies to quality and size of the file. It's one of those things that extremely interests me for no apparent reason. Hopefully I'll also be able to apply my minimal knowledge of such things to helping to improve pony.fm. I'm looking forward to working with you all. I also want to take this opportunity to thank feld0 for making such awesome stuff. He's what, in high school? Or college? I'm not sure. Either way, he's pretty young (older than me though), and is already creating a network of websites for MLP fans that really are, in my opinion, professional quality. MLP Forums is nothing like any site I have ever used (in a good way), and I've spent a lot of time on the internet for several years. It's an honor to be able to, as part of a team, help him with one of his projects in whatever way that I am able to contribute. I'm also considering being a software/web developer myself someday, and this will give me the opportunity to learn more about how websites should be designed to enhance the end user experience, through providing feedback on a new and budding website to one day take its place among the Feldian Network. Hello everyone! Name's Neikos and am an avid music fan. This Fandom produces a huge amount of music every day and I am sure pony.fm will allow a lot of the artists there to blossom and be exposed to their niche audience. That's why I accepted ( and want ) to help build it as an unique experience to artists and users a like. I guess it is proper to make an introduction for myself. So... I try to make all kinds of music. I don't really specialize in any because I am slightly new to the music business. Sometimes I use loops, other times, I use my customized instruments, etc. and am learning to make my own synths. Hey everybody, I've been around here for a while and you may or may not know me. I'm DashForever, and I'm a big fan of all sorts of music. Unfortunately I haven't created any of my own, and probably won't at least in the near future, but I've enjoyed testing out the site and seeing all that it has to offer. Already I have listened to some fantastic songs and I look forward to doing my small part in helping advance it to its final stages. I'm pretty new to the Brony fandom and I'm very much looking forward to teaming-up with other musicians! I'm a singer, (just a singer, I don't really do well with writing melodies nor lyrics). It looks like there's quite a cool bunch people on deck already. Good to know! I'm Cherax Destructor - Cherax or Cherry for short. I've been making music for as long as I can remember. I've been making music that's actually half-way decent (ymmv) for about a year. This is about as long as I've been making pony music. Coincidence? I try not to stay in one genre too much, but I carry a belt full of favourite sounds and production techniques from one style to the next. I'm don't think I'm there just yet, but I'm aiming to make music that makes you say, "weird, but cool...!" You will nowadays find me writing mostly instrumental hip-hop and slightly dance-y music, often leaning towards a relaxed and/or 'cute' feel. I'm in love with reverb, glitched guitar, and chiptune synths. I just can't resist ending songs with huge post-rock crescendos. I found pony.fm via DusK, whose frustration with EQD's pre-listening panel struck a chord. Brony musicians and music fans alike deserve something better, and I'm putting my vote behind this project here. I'm actually in shock that my negativity swayed someone. I'm glad that there are people who can see that I said what I said out of noble intentions, even if I most certainly could have worded it better. Glad to see you here. Hi everyone! I've been into music my whole life, I've started a band, I've gotten in to some big music programs and I've even performed at some big shows. I'm looking right now for opportunities to sing or play guitar/bass with other musicians for I am not good at drums and I have an absolutely awful DAW. Hello my fellow people! I am not a musician myself (sadly...), but I am open to pretty much almost any genre of music. Feld0 invited me to join a some days ago and, while I'm not sure what could I add myself that hadn't been added, I'll do my best! I am also glad that there is a site that will unify all songs pony related for brony musicians to be able to put for people to listen. This is a nice topic! Anyway, I'm Thunder-Dash! I love many genres. But I'd say that Rock is my fave. I compose and arrange music. I've been playing piano for 14 years. I do a lot of stuff. Rock, pop, fusions, piano covers you name it! Im honoured (Im Australian we spell things in English the RIGHT way kidding :3 ) to be on the QA team for such a definitive site such as Pony FM and am looking forward to providing any helpful feedback I can. Hullo everypony! I'm RayFriedh. I'm a growing visual artist. I can't play an instrument to save my life, but I've been told that I can sing very well by many, and have won more than one contest, so I think I might not be too bad. 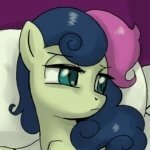 I hope to add some vocal covers to the Pony.fm library. 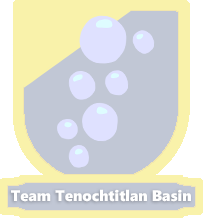 I've joined so that I could have some way of showing the things I produce to an audience that will hopefully pay attention to it. While I'm at it, I could also report any bugs I run into. "I'm just here to check up on the music and it's sounding beautiful." 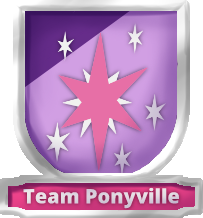 Well, I became a part of the Pony.fm alpha testing team a few months ago. It was cool, it was fun, but after a few days of browsing and talking to the other testers, I honestly kind of lost interest. I figured I'd come back in a little while and start uploading some tracks and all that good stuff. That didn't happen, thus leading me to forget all about it. I'd see an update about it or see a new post in the Pony.fm section of the forums and say to myself "Oh cool. I'll check it out later." Later never happened. Well, today is later. First off, I'd like to apologize for neglecting my job as a tester, and ignoring everyone and everything that goes along with it. I know I hardly meant a thing in the testing of the site, but still. Also, I plan on using the site quite frequently now that it's open to anyone and everyone. I hope to see you guys around, and hopefully we'll all come together and make some good music. I am Megamare and I'm just here because pony.fm lets me listen to music in the background. Hello everypony!!! I'm not a brony musician myself (fanfic writing's the only creative contributions I've made to the fandom), but I love singing and always have my whole life, especially choral music. I love the music produced by this community and am always looking for new and awesome tunes, and can't wait to check out Pony.fm (props to Feld0 and any other mods who've been working their butts off putting that together!). Best of luck to all you musicians out there with your future endeavors; can't wait to hear what ya'll come up with!